A unique, deep antiaging & anaplastic procedure with a cutting edge active peptide complex for tired and dry skin on the face, neck and hands. It improves elasticity and moisturizes after the first treatment. 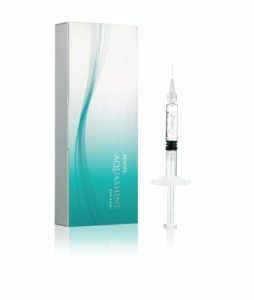 Non-cross-linked hyaluronic acid 1.5%, completely biodegradable. The peptides stimulate the skin cells to the synthesis of collagen and elastin, responsible for density, elasticity and firmness of the skin. The biomimetic peptides that stimulate natural regenerative processes in our body are safe and do not have any allergenic properties and their effect resembles more a treatment than masking the problem. Non-cross-linked hyaluronic acid is strongly moisturizing.